For a low annual fee you can protect yourself from the high cost of a tow. 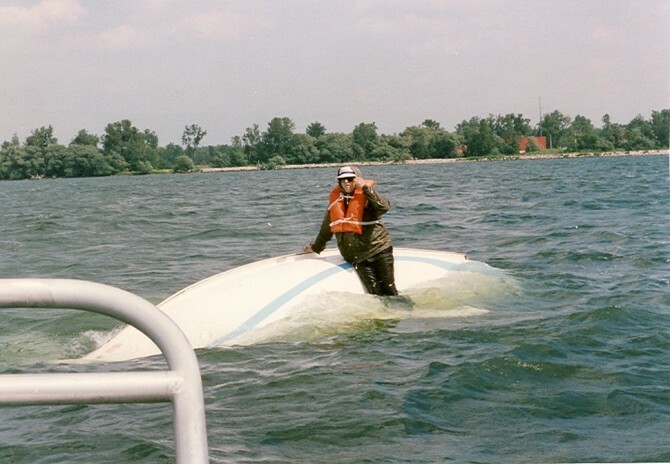 Not only are you covered for an unlimited number of tows per season, but your membership also gets you free towing on the Pennsylvania waters of Lake Erie. For an additional fee you can also purchase coverage for the U.S. waters of Lake Erie in Ohio and New York. If you break down outside of Pennsylvania waters just call the nearest Interlake Towing System affiliate, and your tow is still free! As a member you also receive free jump-starts, and gas or parts delivery on the water. Our summer office is centrally located in Presque Isle Bay. Captains are standing by 24-hours a day to provide both emergency and non-emergency services on the waters of Lake Erie. Lakeshore Towing has received national accreditation (ACAPT) for meeting strict professional guidelines. We are fully insured and meet the highest standards for equipment and service. Our captains are US Coast Guard licensed for towing assistance, and all our personnel have many years experience in marine towing, salvage, and diving. Lakeshore Towing is a BOAT U.S. approved towing firm. We can bill BOAT / US directly for towing services up to the coverage limit on the member’s card. 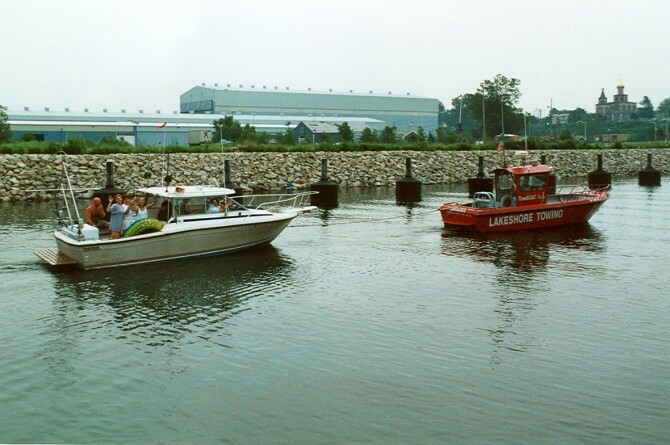 Lakeshore Towing has five towing vessels ready to provide you with immediate assistance if your boat is disabled. Our area of coverage includes all of the Pennsylvania waters of Lake Erie, and our season is from May 1 to November 1. How much does it cost for a tow? Towing fees for boaters on Lake Erie without a towing membership range from $180 per hour to $250 per hour. The clock starts when the towboat leaves the dock, and ends when the towboat returns. Lakeshore Towing Memberships start at $75 per year. Members receive free towing all season within the coverage area, 24 hours a day, seven days a week. What area is covered by a membership? The two different Lakeshore Towing membership plans we offer will cover you locally in Pennsylvania waters only or on all the U.S. Waters of Lake Erie. You can review our available plans here. Salvage is the recovery of a sinking, sunk, or hard aground vessel. 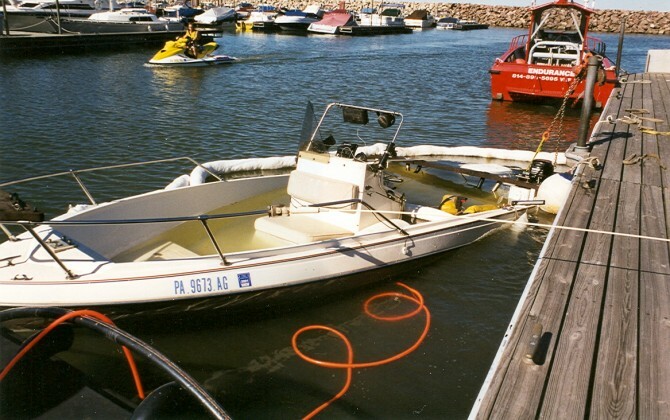 Salvage costs are considerably higher than towing and are normally covered under your boat’s insurance policy. Salvage is not covered by your towing membership. What is the Coast Guard policy on towing? In most situations the Coast Guard will ask the operator of a disabled vessel if there is towing company or friend they can call. The Coast Guard will only respond if there is imminent threat to life or property, or if there are no towing firms in the area. What should I do if my boat breaks down? Put on your life jacket and anchor your vessel. 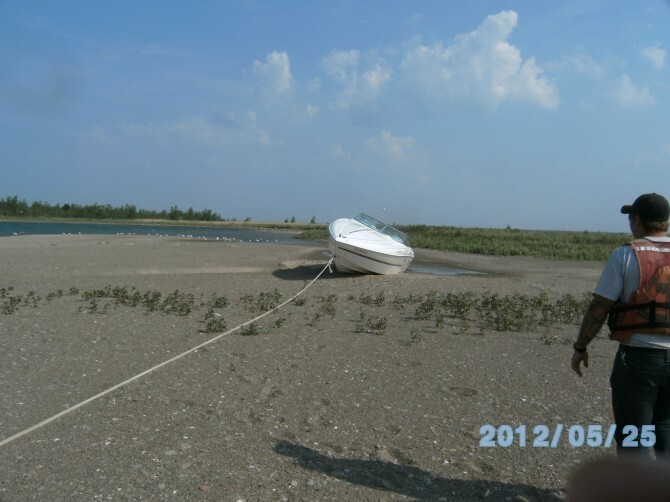 Try to determine your exact location, then call Lakeshore Towing on channel 16 or via cell phone. Why should I call Lakeshore Towing? Our towboat captains are licensed by the coast guard for towing and have many years of towing experience. 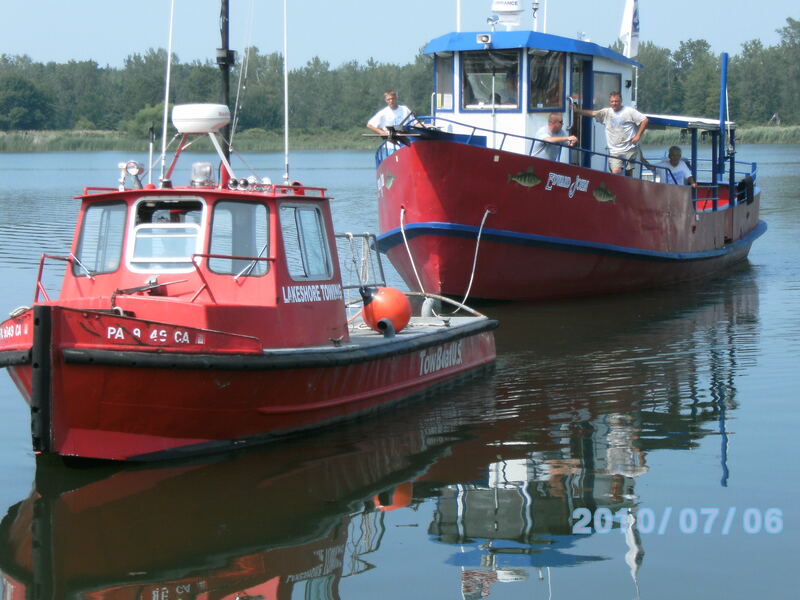 Our vessels are specifically designed and equipped for towing and salvage. We are insured for towing and salvage operations, and have received accreditation for meeting the highest industry standards.